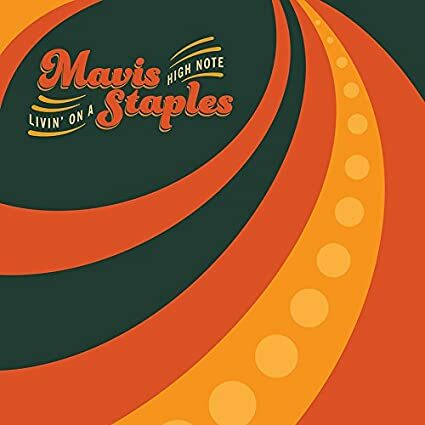 Mavis Staples has been very active lately working with current day stars who have been able to help out one of their idols. Her 15th studio effort is titled Livin' On A High Note, it finds her moving more into a positive/mainstream region, with songs written by lots of today's popular indie artists, produced by M. Ward. When the funk gets supped up, like on the opener "Take Us Back" and "Action" the albums success is instantly noticeable. The opener penned by Benjamin Booker has a punchy energy while "Action" written by Merrill Garbus contains a slippery groove which Staples slips directly into. "Tomorrow" from Jon Batiste and Aloe Blacc also is like an old slipper for Staples who instantly takes the funky soul track, making it a highlight. Not all the songs written for her work perfectly as a track like "Dedicated" goes nowhere and never hits the emotional notes it shoots for while "High Note" is perfectly fine, but this is one case where the songwriter may want to revisit it. Valerie June could inject even more urgency and passion to the track, not easily said about a song sung by Mavis Staples, but the truth. "Jesus Lay Down Beside Me" "Love and Trust" and "If It's A Light" clearly invoke Staples gospel roots and simplicity easing her back into what feels comfortable. "Don't Cry" written by the producer recalls a doo-wap 50's vibe that would fall in line with Ward's most recent More Rain. In the end Livin' On A High Note is successful but also manages to feel a bit light and wispy at times as if not everyone was on the same page for energy/arraignments/writing of the tracks which can be expected with this many artists involved. Enjoyable and pleasant and in the end it is always a joy to hear Mavis sing; sometimes that is just enough.